Do you want to find out how to become a certified nursing assistant? Since becoming a nursing assistant is a prerequisite in becoming a registered nurse it is a necessary part of your medical career training. Before you can take the exam, you first need to become certified by taking a training program in your local college or health care facility and pass the state exams. With this certification, you will have the training necessary to be a nurses aide and build valuable experience that will help you advance later on. Here are some ways on how you can be a nursing assistant. Before you can try to become a nursing assistant, you need to satisfy some prerequisites. First, you will need a high school diploma. You certainly need to be finished with high school if you want to enter a CNA course. If you are still in high school, then taking some extra courses that is related to science like chemistry and biology are helpful. These courses will be to your benefit once you applied to be a registered nurse. Then, you will also need a drug test and a criminal background check. 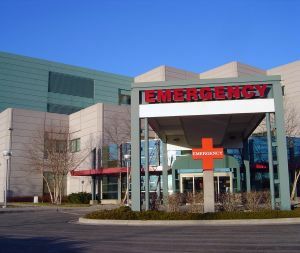 This is needed so that they can be sure that you do not have any serious cases before you become a nursing assistant. Also, a nursing assistant needs a passion for the job. A health care workers primary goal is to help people. This industry requires someone who authentically cares about the welfare of other people. You will encounter different problems and you can only overcome these with compassion. Being passionate will help you battle your everyday responsibilities. It will also help if you have a mature personality. You need to take your focus off yourself and more on the patient. If you cannot do that, then you may experience some difficulty with this job. Third, you will need some good communication skills. As a nursing assistant or a registered nurse, you will usually engage with your patients. 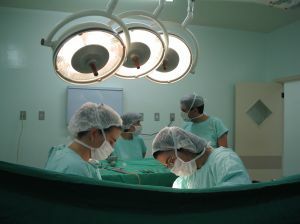 These workers need more interpersonal skills as they play a vital part in connecting the patient with the nurse or doctor. It is important to care about other people and work with them rather than seek to be alone and divide. This career is all about teamwork so it needs a team player who can do that. After reviewing if you really have what it takes to be a nursing assistant, you may have decided that you wanted to be trained to be one. You can do this by entering an approved training program. For these programs, you may need to consult your state. Each state has a different set of standards and requirements. This is because each state has a different environment so the training is created to fit that. The real training happens in the hands-on experience that you get from the program. This is the reason why it is absolutely necessary to engage in a nursing assistant training program before you try to get tested. You can also be a CNA if you are going to engage in some training in a hospital or healthcare facility. They will usually supply you with a contract where you have to work for them for a certain period of time in exchange for learning and experience. This means that you will not get paid for your job. That is a given. Just be sure to read through your contract because some health facilities will require you to work for years. Just agree if you are comfortable with the idea. If that is not a good idea for you, you can try searching for some training programs in some popular colleges or health-related organizations. Nursing assistant courses usually last for around a month and 2 weeks while some extensive courses can last up to nine months. Once you have taken this course, you will find that you will learn different types of skills. There is some on-site training where you get to learn at a health facility. However, for the training to be valid, it has to be accredited. Be sure to check if your training program has been registered on the National League for Nursing Accredited Commission. This will ensure that your time and money will not go to waste. Do not make a mistake and fall for programs that you can not use for your certification. These programs are a waste of time. The Red Cross nursing assistant training programs are widely accepted, however always make sure a course is licensed and approved before signing-up. There are some schools that offer online nurse aide training. However, it is important that you ensure their instruction is approved by the state you are in. Some states accept online classes as long as only a portion is held online. If if an online course is accepted, skills instruction and practice will still need to be performed in a school offline. If you are still in high school you should look in to high school nursing assistant training that may be offered in your area through Post Secondary Enrollment Options Funding. Once you have finished your training program, you will then be given some time to be a certified nursing assistant at your state. Certification is a must if you are really serious in your nursing career. Some places may allow you to work without certification but your pay will be significantly lower. You will see how a simple certification can take you a long way. While it is hard to take the exams, it has a huge payback. After that, you will be able to take higher positions which also translate to a higher paycheck. But when it comes to nursing assistant testing, there are some rules that you need to satisfy. This will vary depending on your state. It is this way because training is dependent on the environment where you will work in. You can contact your local State Licensing board if you want to learn more about your requirements. This will vary depending on location. You may need to ask them about it. And if you are planning to relocate for your profession, you may need to check the requirements in other states so you can be sure that you can meet them. So as you can see, it is really easy to be a nursing assistant. You may need to do this so you can advance in your nursing career or you can do it simply because you care about other people. Being a nurse is a fulfilling job. You get to talk to people everyday and authentically help them with their lives. The first step is to be a nursing assistant and experience how nurses really help their patients. From here, you will learn some skills so that you will know what to do when you are the one doing the job. This job is not about just getting things done. It is about helping other people.